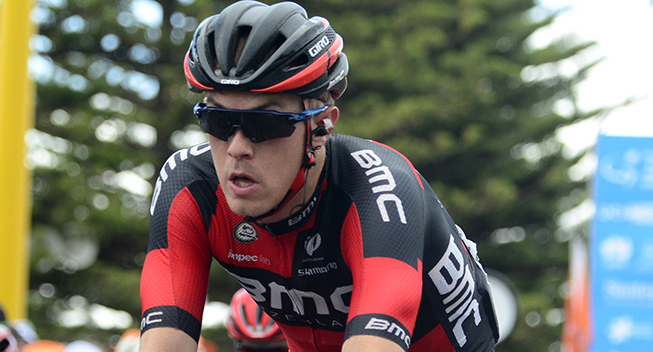 Will Rohan Dennis come out on top in biggest stage race in Great Britain? Cycling is flourishing in Great Britain and gradually the country is getting a racing calendar that matches the huge success their riders have had in recent years. New races like the Tour de Yorkshire and RideLondon Classic have been created and the county has hosted the Grand Depart of the Tour de France twice in less than 10 years but the race’s national tour is a much older affair. The Tour of Britain may have had a tumultuous past but now it is flourishing like never before and has established itself as a key preparation race for the World Championships. In recent years, the likes of Mark Cavendish, Chris Froome, Bradley Wiggins, Adam Yates and Geraint Thomas have made Great Britain a real powerhouse in professional cycling but the big stars haven’t had many opportunities to ride in front of their home fans on an annual basis. For several years, the only major event in the country had been the Tour of Britain which has become a great preparation event for the World Championships. The tides are changing though. After the successful road race at the 2012 Olympics, the RideLondon Classic was created as a way to build on the legacy from that event and just two years later, the country hosted one of the most successful grand departs ever when massive crowds greeted the Tour de France for two days of racing in Yorkshire and a third stage with a finish in London. The Grand Depart was made possible by a very ambitious local committee led by Gary Verity and they were keen to use the momentum to turn the county into one of cycling’s hotbed. The means was the three-day Tour de Yorkshire and with ASO a key part of the project, the race has already been held successfully twice. However, the country has a much older race too. Even though RideLondon Classic will become a WorldTour race too, the Tour of Britain, the national tour, remains the most iconic race in the country. Its long history is full of ups and downs but with cycling thriving like never before it is no surprise that it is now at all-time high. Since it returned to the calendar in 2004, it has been progressing constantly and is now a 2.HC event on the UCI calendar. Held in early September during the final week of the Vuelta, it has established itself as a key preparation race for the World Championships and with this year’s race being one for sprinters, it has never been a more important build-up for the rainbow battle than it will be in 2016 as most of the big favourites have opted to skip the mountainous Vuelta and the hilly WorldTour races in Canada. The race dates back to the first British stage races held just after World War II and has had several different names. The origins go back to 1942 when the British League of Racing Cyclists was formed with the intention of creating a British version of the Tour de France. In 1944, the Southern Grand Prix in Kent was held and a bigger race from Brighton to Glasgow was held one year later. The organizers fought hard to keep the race alive but it was in 1958 that the big breakthrough came. Here the Milk Marketing Board joined as a sponsor and from that year the race was known as the Bilk Race. From 1960 to 1984 it was only for amateurs but from 1985 professional riders again got access. Unfortunately, the race disappeared in 1993 when the Milk Marketing Board was wound up. In 1987, another race, the Kellogg’s Tour was organized as a professional race and for seven years, the country had two national tours. The race had a some big-name winners but after the 1994 edition won by Maurizio Fondriest, it ran out of sponsorship and disappear. A new race, the PruTour was held in 1998 and 1999 but it soon disappeared too. The country was without a major stage race for several years until the new Tour of Britain was held in 2004. The race was held as a professional race in September and attracted teams like T-Mobile and US Postal. Mauricio Ardila won the race and since then the event has been held every year, gradually moving up the ranks and attracting strong fields. When the current system was introduced in 2005, it was a 2.1 race but since 2014, it has been a 2.HC race on the international calendar. The growth is mostly due to the cycling boom in the country but it gets increased international recognition. In recent years, many have been questioning whether the Vuelta is the ideal preparation for the Worlds, especially in years when the Worlds courses are relatively flat. This makes the Tour of Britain a solid alternative as the race provides the riders with 8 days of very tough riding in undulating terrain and as Michal Kwiatkowski and Mark Cavendish have both won rainbow jerseys after doing the British race, it has managed to attract stronger and stronger field. Great Britain doesn’t have any major climbs but it is definitely not a flat country. This has turned it into a solid race for Ardennes specialists, strong sprinters, classics riders and punchy climbers. In certain years, there has been a time trial too and this has often been a key stage in the race. Last year there was no TT and the race was mostly decided in the uphill finish on the Hartside Fell climb. Edvald Boasson Hagen was unable to beat Wout Poels but had picked up enough bonus seconds in the previous stages to take the lead. With a fantastic attack one day later, he solidified his position and then defended his jersey in the final two sprint stages to win the race ahead of Poels and Owain Doull. The Norwegian and the Dutchman will both be back as key contenders in 2016 edition. The Tour of Britain has gradually changed its nature. In the first year, there were no summit finishes and the race was characterized by lots of lumpy stages in the hard British terrain and several sprint stages. That made it a great race for classics riders but in recent years it has become more of a traditional stage race for versatile riders that can climb and time trial. Every year since 2013, the race has had an uphill finish but as there are no big mountains in Great Britain, it has never been a race for pure climbers. Furthermore, the race has mostly had a time trial in addition to the usual sprint stages and hard stage with lots of potential outcomes. The course for the 2016 edition follows the recent tradition. The sprinters will have opportunities on the first and final day and on the evening stage on the split day 7. Stages 4 and 5 also have the potential to come down to bunch kicks but the terrain is a bit harder. Stages 2 and 3 are pretty hard and will be suitable to attack that can potentially have an impact on the GC. However, the big days for the GC riders come on Friday and Saturday. Stage 6 has an uphill finish on the climb of Haytor that was last used in 2013 and one day later the riders will tackle a crucial 15km time trial in the morning, meaning that the 2016 Tour of Britain will test all the skills and crown a versatile bike rider. The sprinters have often had their say on the first day of the British race and it is unlikely to be any different in 2016. On the first day, the riders will cover 161.6km from Glasgow to Castle Douglas and they are mainly flat. The middle section is a bit more undulating with three category 3 climbs but the final challenges I located with 53km to go. From there it is a downhill and flat run to the finish. The final three kilometres are flat and follow a straight road until the riders will take a sharp turn with 400m to go. The wind is always a challenge on the lumpy British roads but unless the weather is very bad, this should be a day for the sprinters. There may only be six-rider teams in the race but with numerous fast finishers in attendance and fresh legs for the domestiques, things should kick off with a bunch kick. After an opening sprint stage, we should see the first time gaps being created on stage 2 which will bring the riders over 188.2km from Carlisle to Kendall. The first half is lumpy but doesn’t have any categorized climbs. However, in the second half, the riders will first tackle two category 2 climbs in quick succession before they get to the key challenge, the category 1 climb of the Struggle. The top comes with 27.7km to go and is followed by a descent and rolling roads to the finish. It’s a flat run to the line until the riders get to the final 300m which are uphill. This stage will see the overall contenders battle it out for the first time in the race and we could very well see the aggressive racing that the race is known for. There will certainly be attacks on The Struggle and a small group could very well get clear to decide the race. With a selection taking place, the door will also be open for attacks in the flat run-in to the finish as it happened when Petr Vakoc won an early stage last year. It may also come down to a reduced bunch sprint and the finish can’t be underestimated. In 2013, Gerald Ciolek beat Sam Bennett in the uphill sprint here and they managed to create significant time gaps in the finale which is much harder than it looks on paper and more suited to puncheurs than sprinters. If the climbers didn’t manage to make a difference in stage 2, they will get another chance one day later. On Wednesday, the riders will cover 179.4km between Gongleton and Tatton Park in Knutsford and they are far from easy 100km are as flat as they can be in Britain but then the terrain gets hard. In less than 40km, the riders will tackle a category 2 and a category 1 climb in quick succession. The top of the final challenge which is the highest point in the race, comes with 65.9km to go and from there it is mainly a long downhill run to the finish. The final three kilometres are flat without any real turns. This stage has some serious climbing and it definitely won’t be a day for the sprinters. However, the final climb comes pretty far from the finish and it will be very hard for a small group to stay clear. A race with six-rider teams is always difficult to control but the final part is suitable for regrouping so we expect a reduced bunch sprint for the Boasson Hagen/Swift type of sprinters. At this point, the sprinters are unlikely to have been in action since the first day so they hope to get their chance on stage 4. At 218km, the course between Denbigh and Builth Wells is very long and includes more than 4000m of climbing. However, there are only three categorized climb on the menu, one of the third and two of the second category. The final top comes with 102.8km to go but that doesn’t mean that the final part is flat. There are several ups and downs in the final 100km until the riders get to the slightly downhill run to the line. The finale is extremely technical with no less than 3 sharp turns inside the final 500m. This long stage will be very hard to control and it could be a key day for the GC. In 2014, Dylan van Baarle won the race by attacking in the lumpy British terrain and it won’t be easy for a single team to control such a long, hard stage. The sprinters will be uncertain about what they can do so the sprint teams may decide to stay passive and if so this could be a stage for a potentially race-deciding breakaway. However, the most likely scenario is a reduced bunch sprint. If the sprinters failed in stage 4, they will be keen to grab their opportunity in stage 5. The riders will cover 194.5km from Aberdare to Bath and they don’t have any major climbs. That doesn’t mean that the roads are flat as there are several small ascents along the way and there will be three category 2 climbs to tackle. The final of those comes with 61.6km to go and from there it is a lumpy run to the finish. In the final 10km, there is a small uncategorized climb before the riders descend to Bath and the flat finale which ends with a slightly uphill sprint. Again it’s a technical final with two sharp turns in the final 500m. The sprinters haven’t had many opportunities yet so they have to go for this one. However, another breakaway win cannot be ruled out as the 2014 Tour of Britain proved how difficult these stages are to control. With the many climbs, we won’t get a full bunch sprint but we expect most of the fast finishers to be there for some kind of sprint. The climbers may have tried to make a difference on stages 2 and 3 but the big day for them comes on stage 6. Here they will cover 149.9km from Sidmouth to the top of the Haytor climb in Dartmoor which is back as a summit finish for the first time since 2013, having been climbed mid-stage also in 2011 and 2014.. After a tough start with an early category 2 climb, there’s another category 3 climb to tackle during the lumpy ride towards the finish. Here the category 1 climb of Dunchidecock will provide the riders with a first chance to make a selection. The top comes with 20.3km to go and then a descent leads to the bottom of the final climb. It averages 6% over 5.4km and has its steepest section in the middle. Then a relatively flat section leads to the final kilometre which is one of the hardest parts of the climb. This is the day that the climbers have red-circled as their big opportunity. In 2013, Simon Yates took a breakthrough win here when he put two seconds into Martin Elmiger and David Lopez, five seconds into Sergio Pardilla and Sebastien Reichenbach and 10 seconds into Nairo Quintana and Bradley Wiggins. It is not the hardest climb as Elmiger’s top result proves and it is more suited to puncheurs and classics specialists than real climbers. We can expect a big battle between the GC contenders on a key day for the GC. Like in 2014 when the race last had a time trial, the riders will face a split stage on the day of the TT. In the morning the riders will face a key test for the GC in the 15km time trial in Bristol. The course is mainly flat apart from an early descent and a small 500m climb that leads to the 2km to go mark. It’s a pretty technical course with numerous turns but there are also some straight sections where it will be all about power. The race has gathered a formidable list of time triallists who all look forward to this big chance. The flat course is ideally suited to the specialists and the late climb will not make much of a difference. However, technical skills will also be important on this course. For the GC riders, it is very important day as the overall standings are likely to be decided at the end of this stage. After the morning stage, the riders will be back in action in the afternoon for a 90km criterium held on the time trial course in Bristol. The riders will do 6 laps of the 15km circuit which is very technical and mainly flat. However, the small climb with 2km to go could be a launch pad for a late attack before the riders get to the final two flat kilometres. It’s a tehnical finale with a constantly bending road in the final kilometre. This kind of criterium is usually decided in a bunch sprint and it should be the same for this stage. However, the small climb in the finale and the technical run-in to the finish can make things difficult and we are bound to see a late attack on the final lap. The climb may also take the sting out of the sprinters legs but this should be a day for the fast finishers. For the fourth successive year, the race ends with a big finale in the heart of London where they will tackle the same circuit that was used last year. It is 6.2km long and will be done six times for an overall distance of 100km. It is completely flat and doesn’t have any major technical challenges. However, the final kilometre is tricky as there is a roundabout with 600m to go and then a sharp turn just 300m from the line. There will be bonus seconds on offer at the end of the 4th, 8th and 12th lap. Like last year the scene is a set for a big bunch sprint on the final day but if the GC is close the bonus seconds could come into play. The sprint teams will control things firmly and make sure that it all ends with a sprint finish which will hopefully be less controversial than last year’s battle where André Greipel was relegated because of an illegal move and Elia Viviani was given the victory. The Tour of Britain can be a very hard race to control and the 2014 edition proved how the favourites can be denied. Back then, the breakaway made it to the finish three days in a row as the small six-rider teams couldn’t keep things together and everybody was looking at Sky and Etixx-QuickStep to do the work. The rough British terrain, the long stages and the bad weather turned it into a very difficult race and pre-race favourites Bradley Wiggins and Michal Kwiatkowski saw Dylan Van Baarle gain enough time in the break to take the win. Looking at the 2016 course, there is no doubt that the race has two key stages and on paper everything should be decided in the uphill finish on the Haytor climb and in the time trial. In a race decided by seconds, bonus seconds can also come into play as it was the case last year. Furthermore, there’s the uphill sprint on stage 2 where time gaps were created when the finish was last used in 2013. However, surprises are always possible in this race. As said, the race is hard to control and it’s not impossible for a strong breakaway to gain some unexpected time. Stages 2 and 3 are hard and if there’s a big selection on the late climbs, small groups may make it to the finish. The weather always plays a big role but it seems like it won’t be too bad. The first three days will have a bit of everything – sun, clouds and rain – but it won’t be very windy. As things stand now, summer will arrive for the final five days and this will make it easier to control things. This year there are a lot of great sprinters in the race and this should make it much easier to control things. Already last year’s race was dominated by sprints and with this kind of line-up, it will be harder to break the stranglehold of the best teams in 2016. Furthermore, more teams will be riding for GC and want the race to be decided in the TT and the mountaintop finish. BMC, Sky and maybe Giant-Alpecin and Dimension Data ll want it that way so like last year surprises are less likely. This means that it could very well come down to the TT and the uphill finish in addition to potential bonus seconds and splits in stage 2. If that’s the case, we will put our money on Rohan Dennis. The Australian hasn’t had many results this year as he has been plagued by health issues and has been fully focused on the Olympics. Now he is ready to turn back into GC mode and this is obviously a race that suits him really well. Haytor is not the hardest climb and suits a relatively explosive climber like Dennis well. Furthermore, he is one of the very best time triallists here and he will be one of the favourites for the TT. He is unlikely to win stage 6 but he should limit his losses so much that he can take it back in the TT. The main question is his form. He hasn’t raced since the Olympics but he is very optimistic. He is even talking about overall victory and this sends a strong signal. Dennis was flying at this time last year when he won the USA Pro Challenge and this year we think that he will win the Tour of Britain. For the second year in a row, Wout Poels will lead the big home team, Sky. Last year he won the queen stage but had to settle for second overall. This year he has been riding even better and even though he hasn’t raced since the Olympics, there is no doubt that his form is good. For Sky, this is a very important race so for Poels it is a big goal. Poels will be the obvious favourite for the mountaintop finish and the main question is whether he can gain enough time to defend himself against the likes of Dennis and Dumoulin in the time trial. He did an excellent TT at Ruta del Sol earlier this year but he hasn’t confirmed his newfound skills later. The flat course is not ideal for him but the technical nature will make it easier. If he is at his best in the mountaintop finish, he should be able to limit his losses enough to win the race. Tom Dumoulin is the big question mark. On paper, it’s a race that suits him down to the ground as he is fast, good on this kind of climb and the best time triallist in the race. However, he had a hard time in the build-up to Rio due to his wrist injury and he is likely to have taken it easy since then. Giant-Alpecin are not talking about the GC and have their eyes on the GC. However, they may just try to take away the pressure from Dumoulin. We doubt that he has the form but if he goes for GC, Dumoulin won’t be easy to beat in this race. Dimension Data don’t have defending champion Boasson Hagen. Instead, Stephen Cummings will lead them and he should be good in this kind of race. In the Tour, he showed what a good climber he is and if he is on form, he won’t lose much to the best on the Haytor climb. He is a great time triallist on this kind of course and should be close to Dennis and Dumoulin and beat Poels in stage 7a. If he can do better than the two time triallists in the mountaintop finish, victory is within reach. Tony Gallopin leads Lotto Soudal and is another solid candidate. The Frenchman is a great puncheur and should be one of the best on the Haytor climb which suits him really well. He may even go for victory in the uphill sprint on stage 2 and can go for bonus seconds in the intermediate sprints too. He is not a TT specialist but he has done good time trials in the past so if he can get to Bristol with a bit of a buffer he can win the race. On paper, Daniel Martin is the Etixx-QuickStep leader. However, the Irishman is unlikely to win the race. Stages 2 and 6 suit him well and he will be one of the favourites in both stages but he is a very poor time triallist. Instead, Adrien Costa who is riding as a stagiare, could be the best rider for the Belgians. He may only be 19 years old but he has just finished second in the Tour of Utah where he beat riders like Darwin Atapuma and Andrew Talansky. He confirmed his form with third place and a TT win at the Tour de l’Avenir. This is another level but he has proved that he can both time trial and climb well enough to challenge the professionals. Movistar have the strong trio of Javier Moreno, Gorka Izagirre and Giovanni Visconti who are all solid candidates. Especially Visconti will be a great candidate in stages 2 and 6 where he can make use of his puncheur skills. They are all good time triallists, especially Moreno and Izagirre who are usually very good on short, technical courses. None of them are favourites in the TT or the uphill finishes but with strength in number they have cards to play. Owain Doull was the revelation of last year’s race where he finished third overall and won the points jersey. This year he has been fully focused on the track and so is unlikely to have the same road form. However, he has all the skills to do well as he is very fast in the sprints, is a solid time triallist and last year he proved that he can be up there on the climbs too.